The 100km, 62km, 30km events are entirely on mountain trails (excepting the first 12km of the 100km event) to ensure a pure trail running experience which is further emphasised by an altitude bandwidth of 1600m-2865m. Runners will enjoy the company of some of the flagship fauna of the area including the mighty Eland and the critically endangered Bearded Vulture while the presence of the ancient San people will surround them in the shape of their world famous Rock Art. The 100km, 62km, 30km events are ITRA registered event and official qualifiers for UTMB®. Based at the Premier Resort Sani Pass and with a clover leaf format runners will be blown away by one of the most idyllic short course layouts on the Trail Running calendar. Predominantly in the Maloti Drakensberg Park runners will touch on sections of the legendary Giant’s Cup, Gxalingenwa and Khanti Ridge trails and experience genuine mountain trail running in its purest form. The Giant’s Cup is a 2-day stage race, set over the 5-day Giant’s Cup Hiking Trail, in the Maloti Drakensberg Park World Heritage Site in the Southern Drakensberg. The Sani Dragon is a 2-day MTB stage race in the Underberg area of Southern KZN. The event will be based at the Premier Resort Sani Pass and takes place over the same period as the annual Underberg Farmer’s Association (UFA) Agricultural Show. Day 1 will be approximately 50km in length and will form a large loop incorporating some of the most scenic district roads, jeep tracks and single track in the Underberg & Himeville area. There is no other MTB event that incorporates the Sani Pass! There will also be a LITE event with distances of approximately 35km on Day 1 and 26km on Day 2. Day 2 will be to the South African Border Post and back. Both days starting and finish at the same locations as the main race. 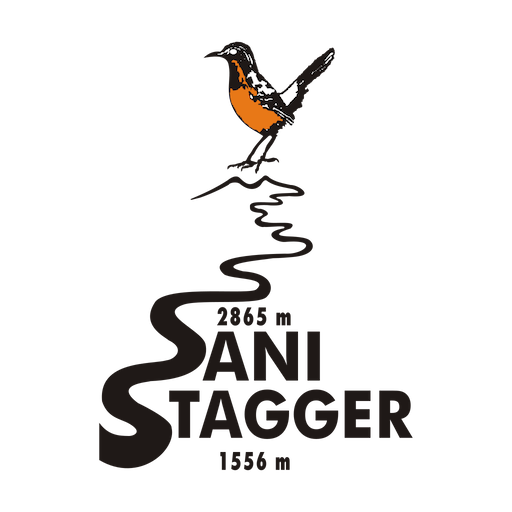 The Sani Stagger Marathon takes place along the 21 km gravel road of the Sani Pass, through the magnificent scenic route between the Premier Resort Sani Pass and the Lesotho border post. The 42.2km Marathon starts on the Premier Resort Sani Pass golf course and is run to the top of the Sani Pass at the Lesotho border and back down again finishing on the golf course. The 21.1km Down Run starts at the Lesotho Border Post and is run down to the finish line on the Premier Resort Sani Pass golf course.